Joshua Tree Rock Climbing School - Meet our Guides! We at Joshua Tree Rock Climbing School believe top quality instruction requires guides to be well versed not only as climbers but also as teachers, outdoor companions, and safety experts. Our goal is to provide such guides for all courses, thus ensuring you a great climbing experience. All guides work as independent contractors. Tipping your guide is customary if you are pleased with their performance. 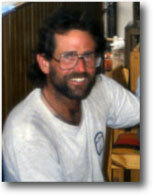 Mark Bowling established Joshua Tree Rock Climbing School in 1988 and has been guiding since 1977. His adventures have taken him from climbing the nose route on El Capitan at age 17 to trekking and climbing mountains in the most primitive places on earth. From the interior jungles of Irian Jaya lndonesisa, to many first ascents in Alaska, Canada, United States, Mexico and South America including two new unrepeated grade VI routes on El Capitan. Mark has also climbed the coveted Mt. Fitzroy in Patagonia in an eleven day period from departing Los Angeles. Mark co-holds the record for the most climbs climbed in Joshua Tree in a single day, free soloing 200 climbs in 18 hours. 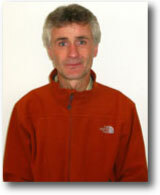 Mark is also a level II certified guide with the American Mountain Guides Association. ...Mark Bowling combines the qualities of a born teacher, the great expertise of an extraordinary rock climber with a gentle , kind and persuasive personality. In just a few lessons he taught our four year old son JJ the fundamentals of rock climbing, gave him the security he needed ( and which we as his parents were looking for). But more important than all the technical skills he learned from Mark, more important thanany rocks in Joshua Tree National Park he actually climbing with his teacher ( and there were quite a few), was the maturing process which Mark helpeddevelop during the few lessons he gave JJ. We could see our son grow mentally from lesson to lesson, we could see him gain self confidence, in other words he grew above his age in maturity and security during the few weeks we were fortunate enough to be able to let Mark influence the growing processof a perfectly normal 4 year old. Off the rock Mark was a wonderfulperson to be with. His quiet nature and deep erudition made it easy and a great pleasure to discuss ethical and humanproblems in a profound and straightforward way, which proved an enrichmentnot only for JJ, but also for his parents. Don Reid joined Joshua Tree Rock Climbing School in the spring of 93. Prior to this, Don served as chief guide for the Yosemite Mountaineering School for five of his 15 years guiding in the Valley. Having climbed extensively in Yosemite since 1973, Don has gone on to author several area climbing guidebooks, including the current guides of Yosemite Valley and the high country region of Tuolumne Meadows. Joshua Tree has been a winter climbing haven for Don since 1979, where he has climbed over 1,600 routes to date. Don is a Level II Certified Rock Guide with the American Mountain Guides Association. Don's teaching skills and obvious subject matter expertise are among the best I've seen. As a military officer responsible for a 180 person training department, I can discern those who can relate information effectively in a clear understandable manner from those who merely know enough. Steve Gerberding - Steve's prestigious rock and ice climbing career is one to behold. A member of the "official North Face Climbing Team'' to the incredible record of the most ascents (103) of El Capitan including 5 first ascents. He is affectionally known as the "King of El Capitan". Expeditions have ranged from climbing in Alaska's Kichatna Spires, India's ''Thalay Sagar'' to multiple Patagonian trips which include ascents of Cerro Torre and Cerro Stanhardt with first ascents of Torre Egger, El Mocho, and Poincenot. Climbing with Steve was a great pleasure. His unassuming character and easy approach to climbing and instructing is to be applauded. By listening to his advice and watching his demonstration of certain techniques, I became a better climber quicker than I thought possible. After returning home from that weekend, in fact, I was able to climb a route in my local area which I never had before. Jim Bridwell - is among the world's foremost alpinist of his, or any generation. His accomplishments span the complete spectrum of climbing disciplines from big wall climbing to free climbing on extreme rock to "unsolvable problems" in Patagonia and Alaska to the Himalayan Peaks. His numerous first ascents and accomplishments have made him an International Legend. Jim has guide certification in both the U.S. and Italy and founded the Yosemite National Park Rescue Team. He is a published writer and photographer. Part of his value lies in his charisma and ability to tell good story. ... I'd like to compliment the technical expertise, knowledge and good nature of my guide Jim Bridwell. I always felt entirely safe and entertained in his presence, and I look forward to climbing with him (and JTRCS) again this coming November. Paul Parker - Paul has climbed prolifically for over 20 years. Spending winters in Joshua Tree and summers in Yosemite National Park, Paul has climbed many of the hardest routes in these areas, flashing several 5.13's in Yosemite. Paul has also climbed in Germany, Thailand, and New Zealand. Paul is a patient and competent guide, specializing in teaching intermediate to advanced crack and face climbing skills. Paul has a Ph.D. in Geophysics from U.C. Berkeley and he also teaches Physics and Astronomy at Copper Mountain College in Joshua Tree. Scott Cole - Scott Cole began guiding in 1981, and has guided in all aspects of rock climbing, alpine climbing, and mountaineering. He was a member of the Yosemite Search and Rescue Team for eight years, and performed high angle rock rescues on Yosemite big walls. Scott has climbed hundreds of First Ascents, in many countries; from short free climbs, to solo first ascents on remote alpine big walls, and has been instrumental in developing many new climbing areas. ....I almost never write reviews but I was moved to write this one after spending two days with Scott Cole from the Joshua Tree Rock Climbing School. My friend and I flew out from Tennessee for a two-day course. This was to be the "intermediate level" class, but it was tailored perfectly to our different needs. After calling several other area services I was a little worried but after I interviewed Mark Bowling on the phone, I felt pretty good that we'd have a good time and learn a lot. The website was easy to use and we received prompt confirmations of our reservations. Scott is such a fantastic, fascinating guy and what a wonderful instructor! His credibility is built from a lifetime of experience and that made such a difference to us. I've been climbing for about 23 years, with an 8 year hiatus, and sometimes receiving instruction from young guys who might have a certificate or have been climbing hard for 5-6 years is a little difficult for me. They often cannot explain why something is done, just that "that's how it is" or "I learned that in a class last year". This is why I was pretty excited when I interviewed the business owner (Mark) on the phone, and he said the instructors were typically over 50. Since resuming climbing, I've sought out instruction from a variety of people and though some younger folks are good climbers, their instruction does not resonate with me in the same way as learning from Scott. In addition to having credibility, he is incredibly technically sound and had excellent reasons behind all of his "preaching" (his term). Scott was also a ton of fun to be around, professional and punctual. We truly enjoyed meeting and climbing with him, and will be employing much of what we learned very soon. The rock was superb too! I hope to come back another time. 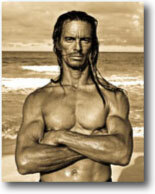 Robert Fonda - started climbing in the early 1990’s. With over 450 first ascents in Joshua Tree to his credit. While making Joshua Tree his home for the past thirteen years, Robert climbed in a variety of areas from Yosemite to Zion. Robert’s easy going personality provides a unique approach to teaching rock climbing. Robert also ran the Joshua Tree Search and Rescue (JOSAR) team as a volunteer for over five years for the National Park Service. During this time he ran several large searches and many technical rescues. David P. Griffith III - learned technical ropecraft at the age of 12, climbed his first big wall at the age of 14 (the prow on washington column in 5 days) climbed his first El Cap route at age 18 (the muir wall in 6 days) since then he has climbed dozens of El Cap routes as well as the nose in a day several times. Has climbed big walls (Torres del paine, Patagonia. Buggaboos, Canada.) difficult free climbs and boulder problems (France, Spain, England,Thailand, Australia, New Zealand) all over the world. Has worked on countless rescues, worked as a technical climbing advisor, stunt rigger, stuntman and supervising rope access safety specialist as well as being a climbing instructor. It's his passion for and experience in the outdoors and of course his own personal flare that makes him such a valuable instructor and invaluable partner. Phoenix" E9 6c, "Sectioned" E8 6c, "Scuttle Buttin' " E7 6c, "Minnie Monster" E7 6c,. generated status and made him one of America's most celebrated climbers. Those steep desires forged above his hometown of Uppermill have lead him around the world as a North Face team member. Establishing first ascents on most continents, up & down the Americas from Patagonia, Alaska to Joshua Tree and recently Borneo plus several Himalayan jaunts including a journey in the footsteps of Mallory & Irvine for a view from Everest's summit in 2007 (currently airing in Imax theatres "The Wildest Dream"). From boulders to Alpine walls consistent taming of difficult terrain has him frequently dubbed "Britain's best all-around climber". During time in Joshua Tree he's guided extensively, granting safe vertical steps and furthering the steep careers of many.